Ridgefield Park, NJ (June, 26 2012) – Dr. Edward Wassall, Samsung’s Director of IP Product and Business Development will present a two day IP video surveillance training session in Toronto, Canada. The seminar, which will provide attendees with 15 Continuing Education Credits (CEC) for use toward ASIS and BICSI certification, was developed by Samsung’s IP Institute (SIPI) to provide the expertise needed by security professionals to develop scalable video network solutions. The Samsung IP Institute addresses the growing need for higher level technical expertise in IP video integration by offering a learning process that enables graduates to configure a scalable video network for a small to midsize client. 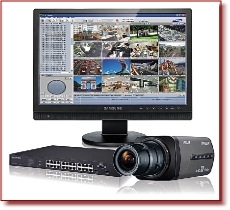 Suitable for technical sales staff, security rep firms and integrators, the SIPI training includes basic IP network design and implementation, comprehensive skills in video management and IP camera optimization. In addition, unique highlights of a case study are designed to build on the participant’s foundation of security knowledge and help strengthen overall understanding and competency.